Patented deep cleansing without chemical additives! Our cleaning process does not require any chemical additives and does not create unpleasant odors in your rooms. Our SLEEP-TIDY-SPVs clean your mattresses and upholstered furniture on site, outside of the room and the building. In an automated 4-step-cleansing process – without chemical additives – up to 30 mattresses are cleaned within an hour. Even larger establishments are thus cleaned promptly. Dust, hair follicles, mites (their feces), salts (in urine and perspiration) are no match for our innovative deep-cleaning system. Bacteria, as well as mold spores, are killed off. A special high-performance aspiration unit removes the organic residues from the mattress on both sides – always freshly aerated! Our self-developed deep-cleansing system destroys organisms in the deep layers of the mattress. We use natural active oxygen and completely refuse to use chemical cleaning agents – to protect the environment, without any side-effects and for the well-being of your guests. Through and throughout a spotless outcome. Finally, the mattress is subjected to thermal deep treatment: in order to achieve a lasting reduction of moisture in the mattress, we heat it to a surface temperature of more than 65 ° C.
Lavender is a special healing plant with an impressive background area. She possesses a natural anti-bacterial, anti-viral and anti-mycotic effect. On top of that, lavender scent is anti-parasitic. The lavender scent is very pleasing and neutralizes unwanted scents. 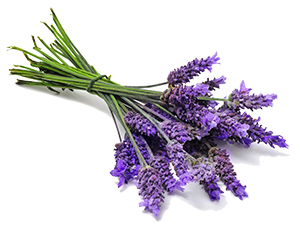 We use our own mixture (100 %) biological mixture from three complimentary lavender types. Swiss-pine oil is sedative, lowers the heartrate and creates – scientifically proven – deeper sleep and better regeneration. 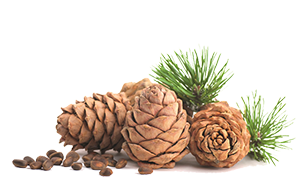 100 % biological swiss-pine oil has natural, anti-inflammatory and disinfection properties, is anti-parasitic, smells really pleasant, and neutralizes unwanted scents. For: ... a relaxing vacation begins with a good night‘s sleep. Did we spark an interest?